Are you running a big store with multiple catalogs of products? Looking for a solution to improve a customer experience in your store? 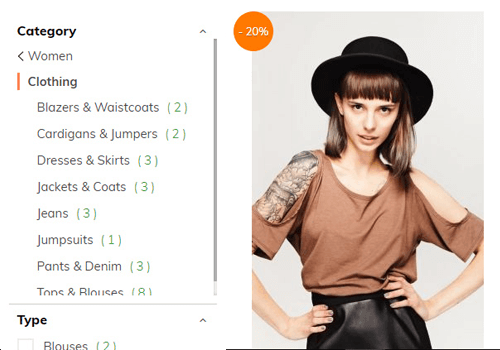 Welcome to check a layered navigation Magento 2 approach. 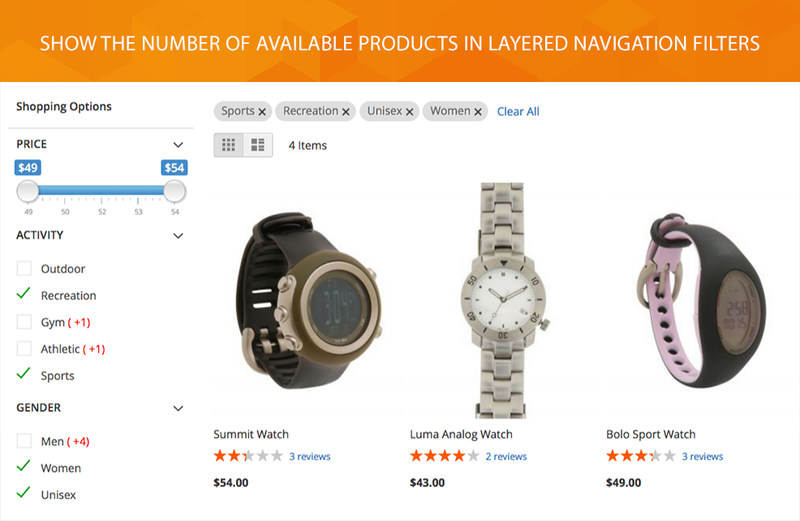 When you sell products with a lot of attributes, a layered navigation is a highly important element in overall store usability. 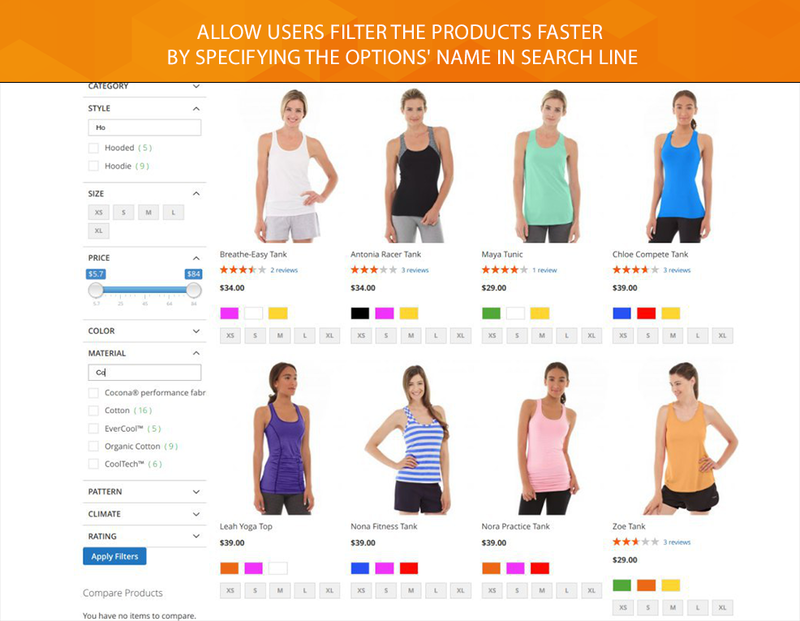 By showing the product and attribute filters on site pages, you help visitors to find the desired product much faster. 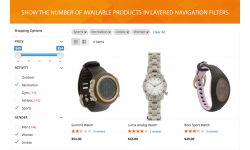 Magento 2 Ajax Layered Navigation extension is going to be the must-have tool to show the layered navigation block on the product, category and CMS pages. 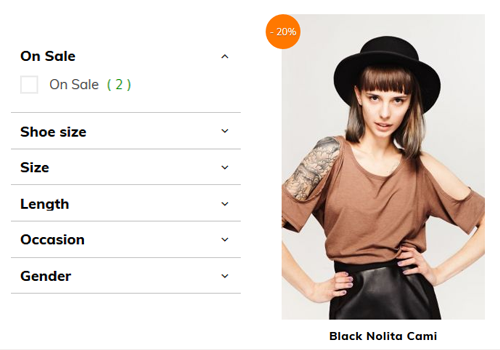 Add a layered navigation with filterable attributes on your store pages. Apply multiple attributes to the same filter. 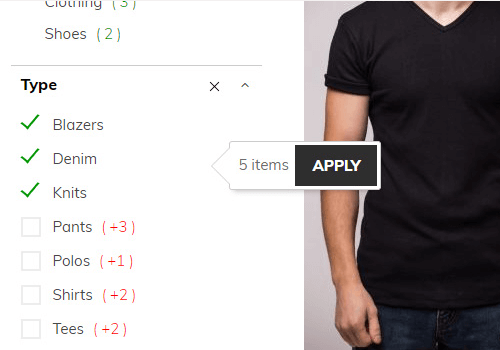 Simplify a searching process in a store. 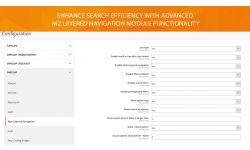 Our module allows adding a layered navigation both on catalog pages and on search result page. 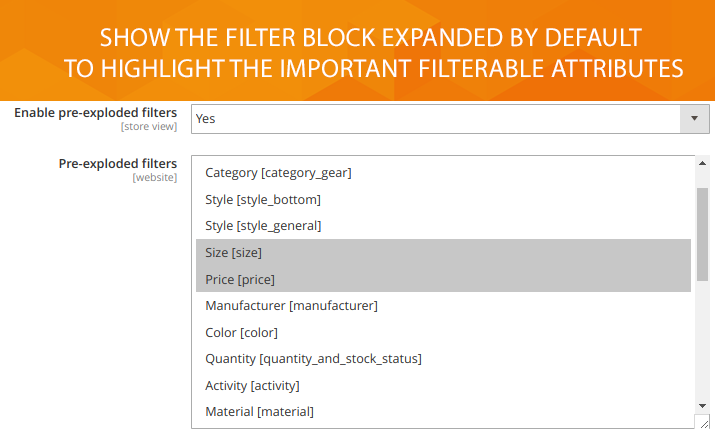 By showing the available product attributes as filters, you will help users to narrow down search results. Thus it will reduce a time of finding products that the visitors would like to buy. On the whole, a layered navigation provides easy browsing all around a website. Our layered navigation module is Ajax supported. 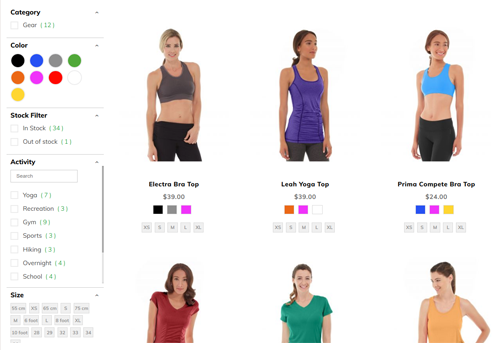 Let customers filter the results without reloading the page. 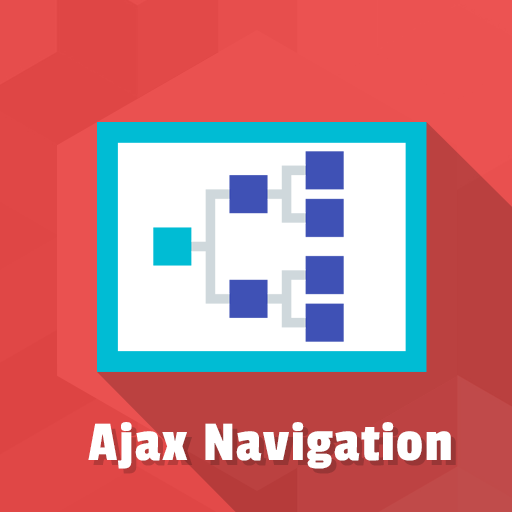 Basically, Ajax Layered Navigation module is one more approach to create user-friendly and quick navigation. Our module comes with configurable price slider. It helps users to search the products and purchase according to the product price wishes. 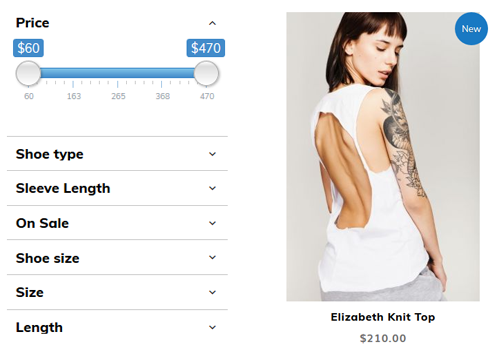 By showing a price range available in your store, you will improve a customer loyalty and overall shopping experience. 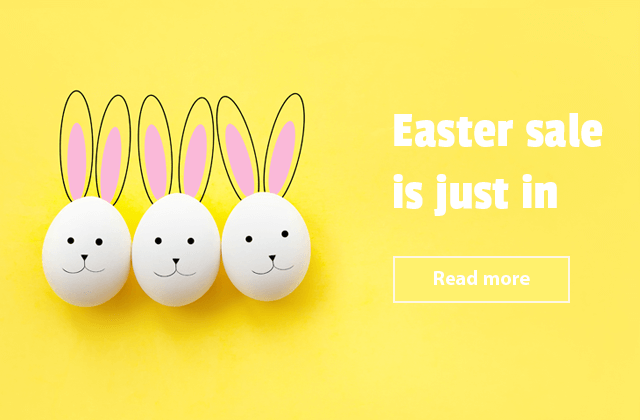 What makes your website ready for mobile-friendly Google search? You know the answer is a responsive design of front-end elements. Our layered navigation block is mobile-friendly. It is a significant point in building up the trust among mobile users. A sticky navigation section helps users find exactly what they are looking for without scrolling all the way back. Via the module you can constantly put customers' navigation choices right in front of them. 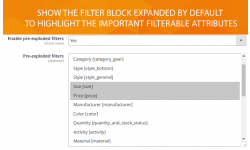 Create quick and easy browsing through the predefined filters. On mobile devices space is scarce. Our module builds the unique layered navigation that works best on mobile devices. 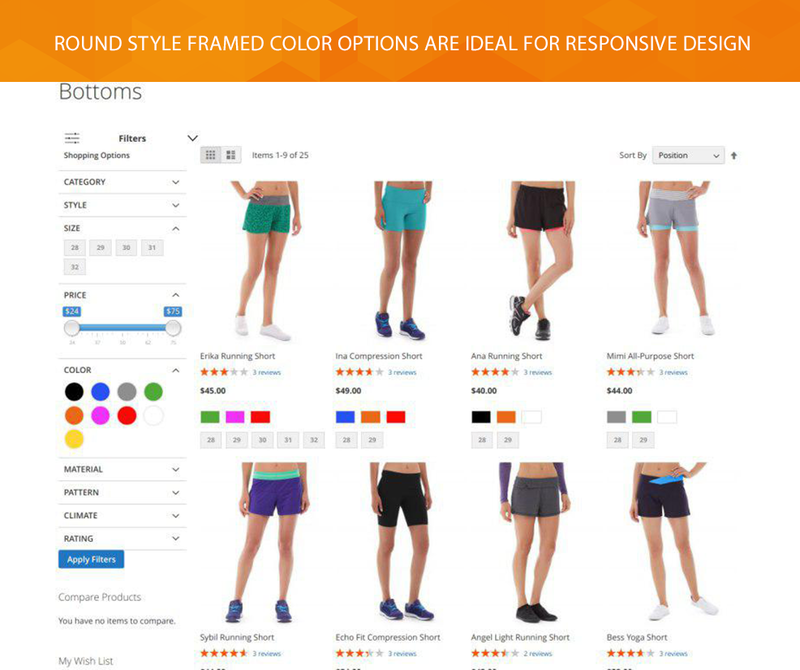 Using slideout you give customers the options they want without wasting space on a page. 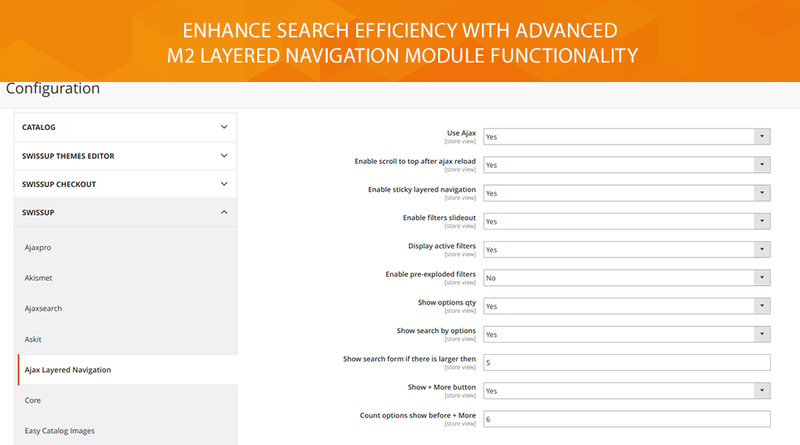 The module supports adding New, In stock, and On Sale filters to layered navigation multi-select. 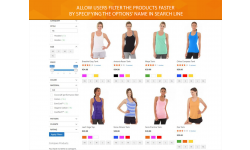 With such filters functionality, it is no need to scroll through thousands of products. Now your impatient customers don't have to tick plenty of filter checkboxes. 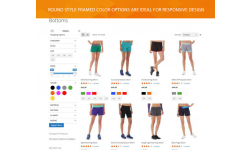 Users can simply choose the product collections which meet their needs. By using pre-expanded search filter in layered navigation block, all available items concerning items on a specific and important collection can be found easier and faster. 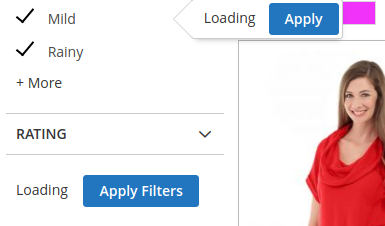 Our module allows you to show the filter options expanded by default. The filterable attributes will appear in an expanding section and will be visible all the time. Our module keeps providing benefits in terms of responsive design. 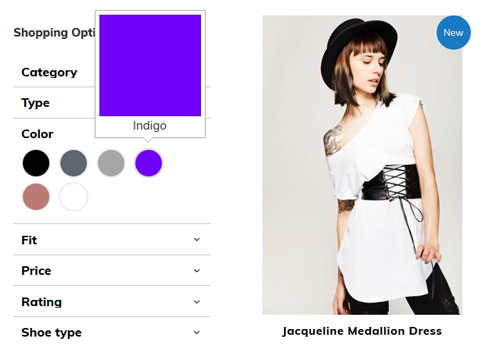 Since your products have more than one color, you can enable the swatch images of the color attribute the layered navigation. New round style framed color options make them great for mobile users. 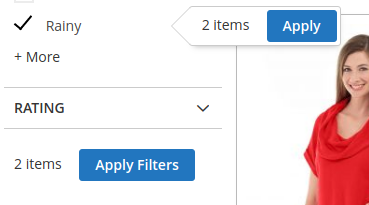 With the module functionality, your customers are allowed to filter the products by writing the options' name in a search field to find available values faster. 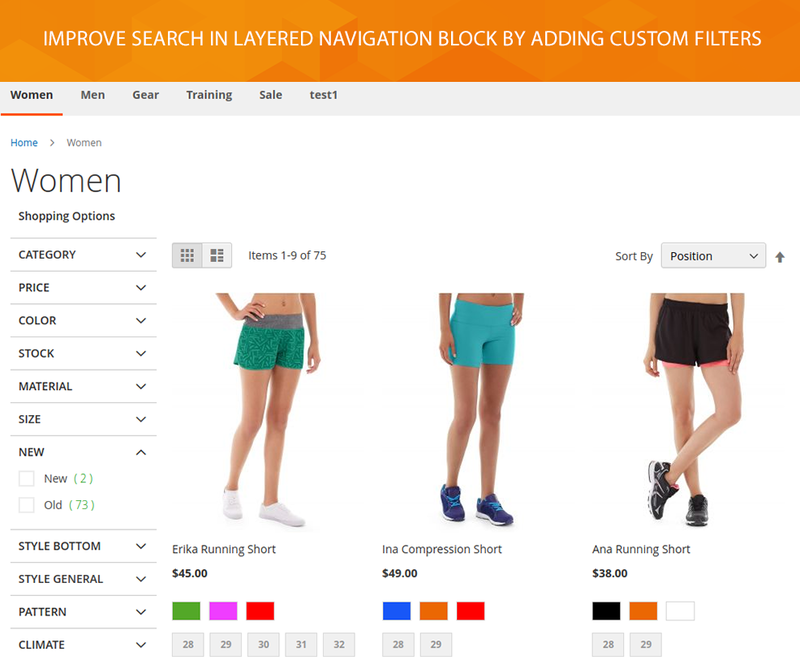 A search line added to layered navigation block makes easier for the user to find the things they know well. The module allows you show a popup used as the tooltip. It means when the user hovers/clicks the attribute, the tooltip popup appears. 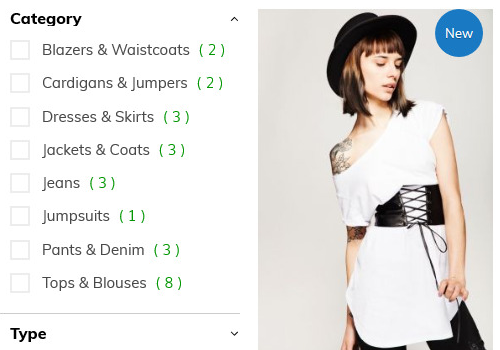 Now the customer can see how many items are available in the selected product collection. No page reload. No interruption of the selection process. 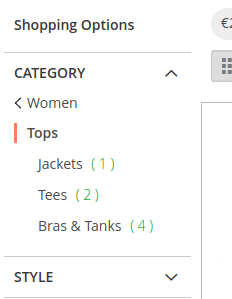 Our module comes with Amazon-like category list style option. It allows you show categories together with subcategories list. 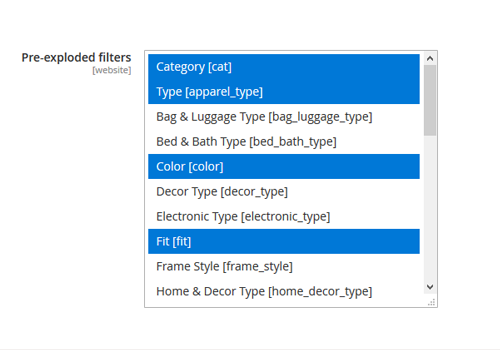 Thus you will show all possible attributes and filters from that category. 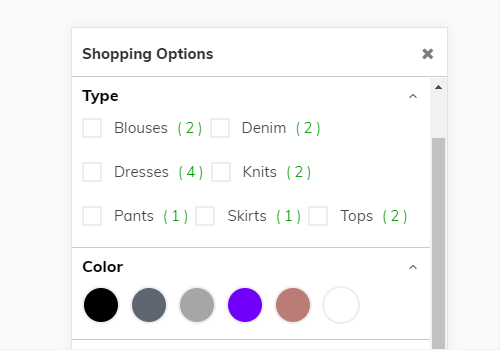 This option helps users reach the related subcategories without applying multiple filter attributes. Keep the customers stay on your site. 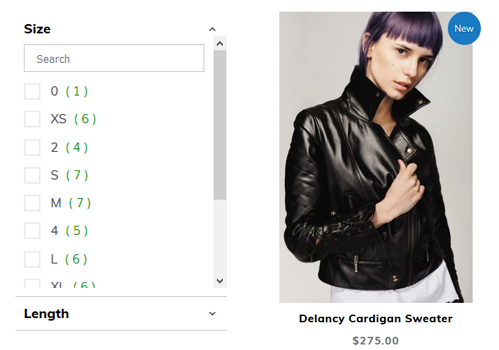 Infinite product scroll feature loads the next catalog results when scrolling down a page. No interruption. This option is very good both for customer experience and conversion rate because it eliminates the user distraction. Our module provides you with all-products page feature. 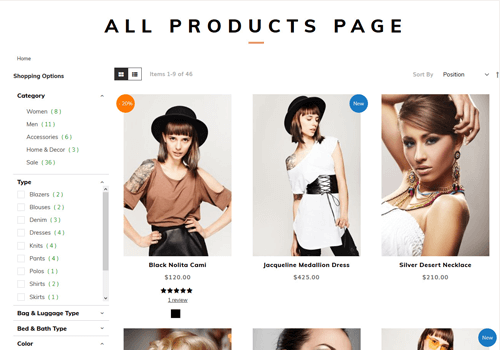 That way you navigate the user to the web page with a list of all products matching the category or attribute chosen before. The additional choice of products inclines customers to buy more products. Compatibility with latest seo-urls feature - rel="nofollow"